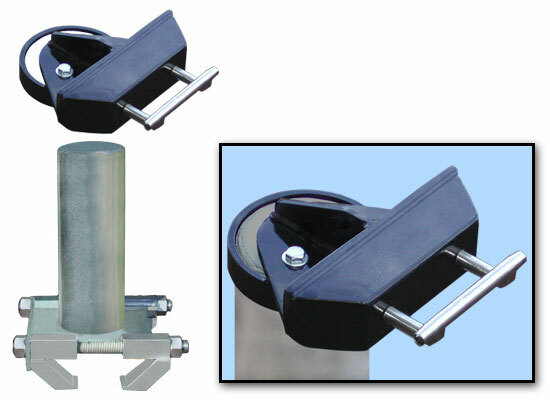 MIO Mechanical Anchor Post with intermediate support is based on MIO Fall Arrest roof anchors. It is unique concept allows clamping the anchor to the existing steel construction using high grade stainless steel jaws. The steel post felled with insulation and has flashing sleeve that created insulation outside. Anchor is deep galvanized to prevent corrosion. Meets OSHA, ANCI-IWCA 1-14.1 (3.9 Anchorages) and National standard of Canada requirements. The Intermediate Cable Support attached on top of Post Anchor with a ring and bolted on its place.